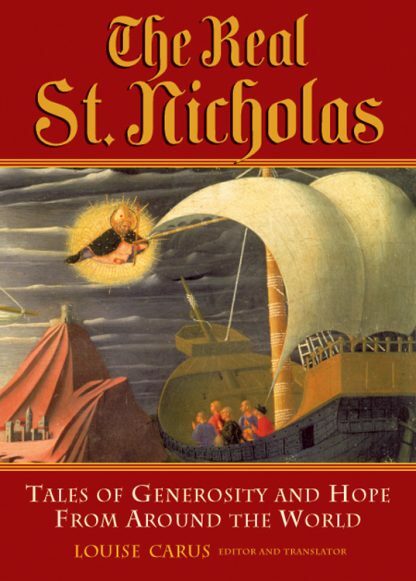 There really was a St. Nicholas � you may be surprised to hear. He was a fourth-century bishop in Asia Minor. Europeans have long observed December 6 as St. Nicholas Day, but the tradition never took hold in America. This charming volume presents little-known legends and tales from Russia, Spain, Greece, Ireland, Germany, Holland, France, Italy, and Armenia----to name a few of the countries represented in this book. While slimmer than jolly old Santa, the historical saint is much larger in character. Celebrated as protector of the wronged and patron saint of children, Nicholas is, in essence, a Western bodhisattva: an enlightened being who serves those in need. This book restores him as an important lost archetype of the Wise Old Man, clustering stories according to such appealing themes as rescuing, nurturing, outwitting evil, and healing. Louise Carus spent two years researching and translating material to bring us the best collection available in English. It will delight parents, educators, community organizers, story lovers, and others eager to decommercialize and resanctify the holidays. Indeed, the generous spirit of the real St. Nicholas can inspire us any day of the year.